With its voluptuous body, fluked tail and shy temperament, it's easy to imagine the dugong inspiring the mermaid legend. This gentle mammal's body is beautifully streamlined for marine life and it glides effortlessly through seagrass meadows, but is just as elusive. Poor eyesight means the dugong is reliant on sensitive bristles along its pig-like snout to locate the grasses on which it dines, and it can dive for up to 10 minutes at a time while grazing. Although generally travelling at a leisurely rate of 10 kilometres per hour, the dugong can accelerate to 22 kilometres per hour in short bursts. The dugong's hearing is acute and, even without vocal chords, it can produce squeaks and pips to communicate with its young. Offspring may remain with their mothers for up to two years and individuals are sometimes found in loosely structured groups of up to a dozen or so animals. The vast seagrass plains of the northern Great Barrier Reef are home to one of the largest populations of dugongs in the world. But even here, commercial gill nets that drape like curtains pose a threat of drowning. 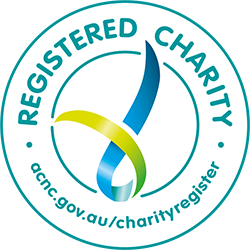 See our conservation work on dugongs. Opportunities to create a 385-square-kilometre haven for dugongs don't come along too often. That's why WWF-Australia is committed to buying the last commercial gill net in operation in in the Princess Charlotte Bay Special Management Area, in the northern Great Barrier Reef. It's the first step in securing a Net-Free North to help safeguard dugongs, plus scores of other marine creatures like sea turtles, sharks, sawfish and snubfin dolphins. 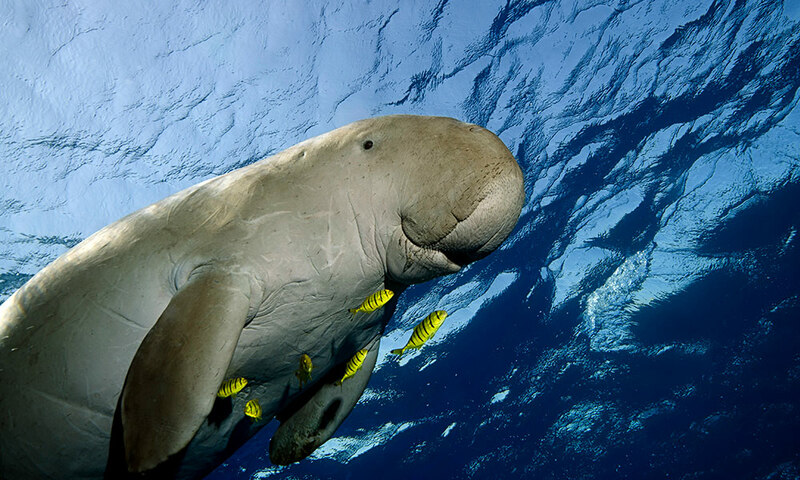 For more than a decade WWF-Australia has been partnering with a variety of stakeholders to reform fisheries management in Queensland to support threatened species like the dugong. We support investment in expanded data collection and compliance programs, and champion sustainable practices that conserve ecosystems, sustain livelihoods and ensure food security. Seagrass feeding and breeding areas are absolutely vital to dugongs. WWF-Australia campaigns to reduce coastal development and marine pollution that may impact on those seagrass meadows or put nearby marine ecosystems at risk. We are actively collaborating with farmers in Great Barrier Reef catchments to protect the quality of water that enters the Reef and thereby prevent dugong habitat from being degraded. Dugong distribution has declined around the world and the population living on the Great Barrier Reef may be one of the largest remaining. Wherever they survive, dugongs play an important role in maintaining coastal ecosystems. Their constant browsing of seagrass encourages regrowth - ensuring critical habitat and feeding sites for a host of other marine species, including turtles, dolphins and sawfish. So, healthy dugongs means healthy seagrass and broader Great Barrier Reef health. Dugongs can live for about 70 years but population growth is slow. A female is 10 before she has her first calf and will only reproduce every three to seven years, caring for a single calf for two years or more. So even under optimal conditions, dugong populations can only ever increase by 5% a year. When under stress, females respond by producing fewer young, further stalling population growth. Habitat: Dugongs inhabit coastal and island waters between East Africa and Vanuatu with the seagrass plains of the Great Barrier Reef lagoon serving as prime habitat. A dugong will sometimes breathe by ‘standing’ on its tail, with its head above water. Pesticide and nutrient run-off into the Great Barrier Reef degrades water quality and can smother the seagrasses on which dugongs depend. Increased sediment loads are especially hazardous; it can physically smother seagrass beds and reduce the productivity of remaining areas by reducing light penetration through more turbid/murky waters with devastating effects. Dugongs not only become entangled in fishing nets and drown, as unintended bycatch; they also suffer boat strikes and can choke on marine debris left behind by fishers. Discarded ‘ghost nets’ and fishing gear are especially hazardous and can entrap unwitting animals. You can help right now by contributing to WWF-Australia's Net-Free North appeal. We're in negotiations to buy the last full-time commercial gill net in operation in the northern Great Barrier Reef - a net stretching 600 metres that poses a deadly threat to dugongs. Taking this net out will create a 385-square-kilometre haven for dugongs in Princess Charlotte Bay. It's also the vital first step in achieving our dream of a 85,000 sq km refuge - an area bigger than Tasmania - that would stretch from Cape Flattery to the Torres Strait and help protect scores of other marine creatures. The northern Great Barrier Reef is a stronghold for dugongs, which are threatened all around the world. On the east coast of Queensland, we estimate that each year commercial gillnetting entangles around 50 of these majestic animals, so it's a significant threat to declining populations. With your help, WWF-Australia can ensure that the Princess Charlotte Bay Special Management Area is a truly special area for dugongs. How much do you know about dugongs? Here are 7 facts! 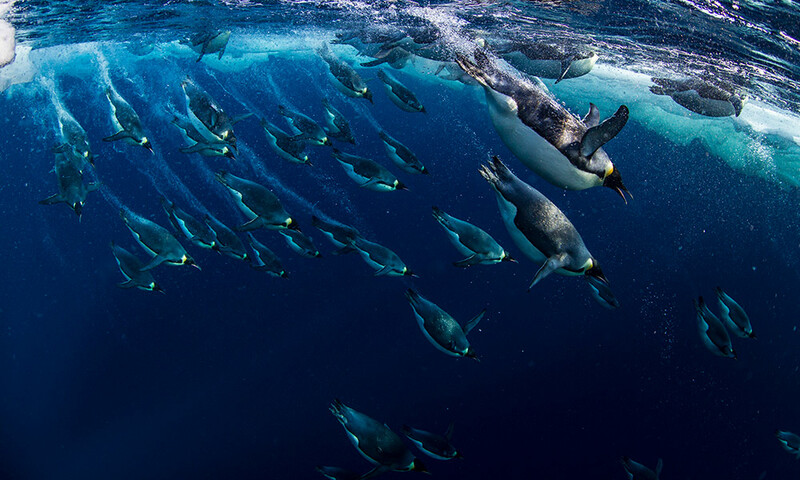 This week our photo gallery highlights some of the marine species living in our oceans.